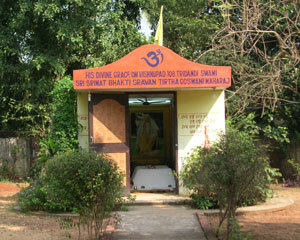 November 2007: Baba's ashram in Bhubaneshwar (Sri Gauranga Ashram) is a haven of spirituality and peace hidden away in the bustling locality of Sahid Nagar. 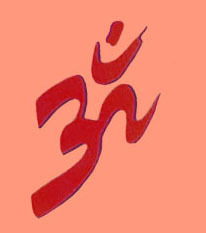 Anyone who has visited even once briefly will testify to the strong spiritual aura of the place. 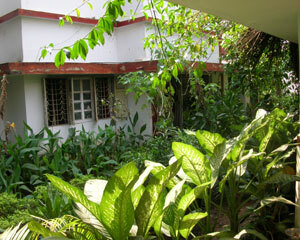 Here are a few photographs of the Ashram as it is now. 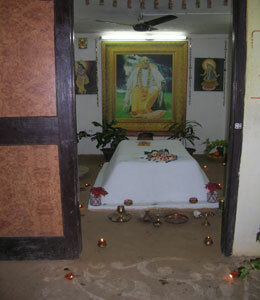 Seen here is the Ashram building - the original room built by Baba in 1980. Heavy rains during the monsoon cause a great deal of seepage and corrosion. There is a need to paint the entire ashram once every year. 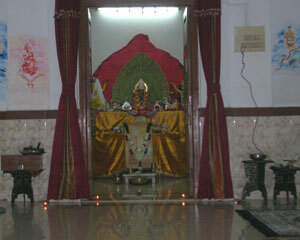 The Shri Lakshmi-Nrisingha temple established by Baba in 1981. 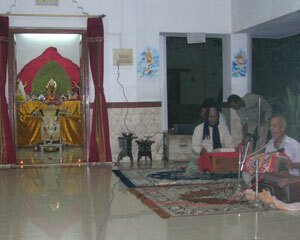 During Kartik every year, a saptaha of Srimad Bhagavatam is organised. Seen here is the katha going on this year. After the katha every day, prasad is organised for the katha-kaars' group as well as listeners. Baba's provisional samadhi mandir. Made of brick and mud, the simple structure is temporary and will be replaced by the new samadhi mandir expected to come up during 2008. Seen here Baba's samadhi - a simple structure made by smearing cowdung and mud over the original site. The floor is katcha and made by smearing cow-dung and mud. It is proposed to set the samadhi in marble when the permanent structure comes up.